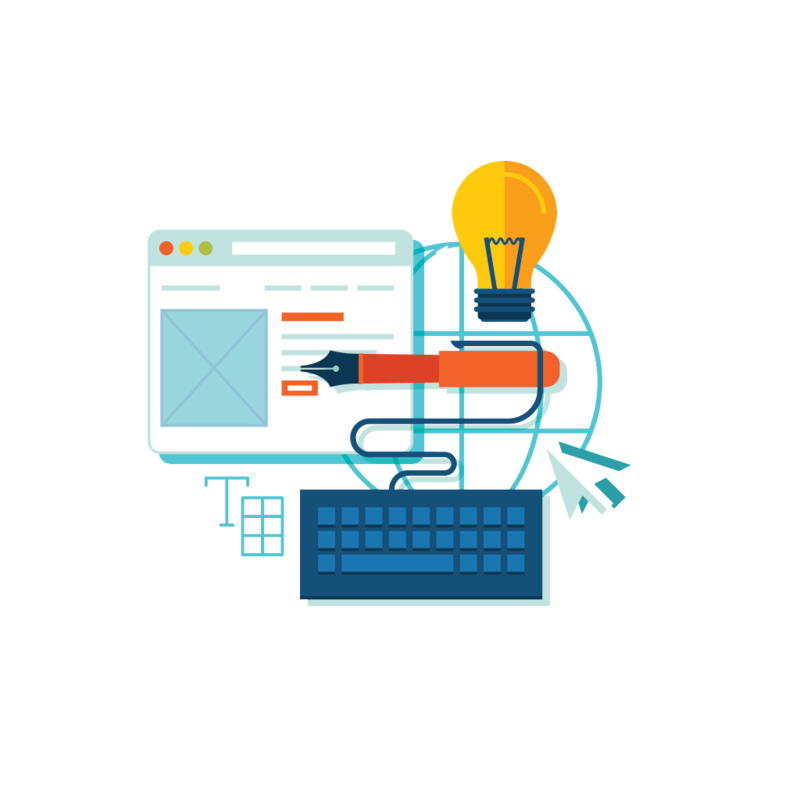 Our web design services encompass everything that make your website a standout. We ensure you give potential customers the best possible first impression, as well as provide easy and intuitive access to information about your products and services. This includes architecture, layout, navigation, colours, fonts, imagery and so much more. Your website is your online presence, your space where you connect with your customers and audience. So, it’s crucial that your site is appealing, informative, intuitive and sends the right message about your brand to potential customers. Our websites don’t just look superb, they’re also built with intelligent architecture that drives revenue and reaches more people. Do you need a dynamic website that converts visitors into paying customers? Do you have an old static website that isn’t driving revenue and need an upgrade? Are you re-branding or need to begin to reach out online? We don’t just design you a website that looks stunning. We design with your potential customer in mind and use effective and proven strategies to design websites that convert your visitors into loyal, paying customers. We work closely with you to understand your brand and your goals. We then plan your website with your goals and potential customers in mind, ensuring you’re involved in the look and feel so that you’re informed and happy every step of the way. We understand that now, more than ever before, people are visiting websites on an array of mobile and desktop devices. Our websites are all optimised to display beautifully on whatever device they’re being viewed on. Ease of navigation and user interface are key to converting visitors into customers. We understand how crucial this is and employ superb architecture when building your site. We are experts in Google ranking and search engine optimisation. We employ proven strategies that make your website Google friendly and will have you outranking the competition and reaching as many potential customers as possible. We are highly experienced working in the finance, fintech and legal industries and understand what customers and clients need. We combine this experience with creativity to deliver outstanding websites that are tailored to your specific needs and drive conversion. We can combine web design with our other marketing services such as SEO and content marketing to provide you with the full suite of everything that you’ll need for online success. Do I have a say in the designing process? You are crucial to the design process and our designers will work closely with you on the look and feel of your new website to make sure that you’re as happy with it as we are. How do I maintain my site when it's finished? We can work with you on a long-term website management plan that ensures your website is always current, up-to-date and optimised with relevant and fresh content that search engines love. Can I make my own changes to my website after its finished? You can be as involved in editing and updating your website as you like. We can teach you how to update and maintain areas such as blogs, news or creating new pages or, we can manage any changes you need for you so you don’t need to do anything. It’s entirely up to you. Your website is built with CRO in mind. CRO - short for 'conversion Rate Optimisation' is the process of optimisation your website to ensure it fulfils its maximum potential in driving sales or leads. We help you develop high-converting landing pages. We provide direct-response copywriting. We provide wireframes and design mockups. And we work with you to develop the best offers to put out into the market. Having a great website is an important building block in your online marketing strategy. It's not enough just to have a great site. We set you up for success - during the website build we are already thinking steps ahead in how we can begin to optimise the marketing strategy to fit with your site. We look at your entire online marketing conversion funnel and ensure your strategy is cohesive end-to-end. We work with you to improve your online advertising campaigns, your SEO rankings, your email marketing, your social media marketing and anything else you do online. Because when you combine website optimisation with online marketing optimisation, you achieve the greatest gains.